Looking for the Best Hearing Clinic? 90 Day Money Back Guarantee. If your hearing isn’t crystal clear… Return It! From free hearing tests to custom hearing solutions to repairs and maintenance, we’re here to help with all of your hearing needs and questions. 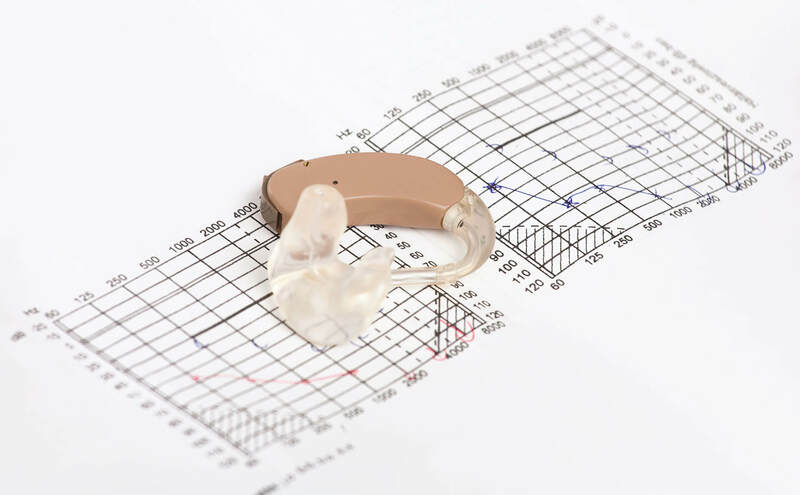 Hearing Aid Source offers the most technologically advanced hearing aids on the market. Our hearing aids pack great sound and hearing into all-but invisible devices. Welcome to a new era of hearing technology. No time machine required. Watch the video to hear Matt's hearing aid story. Call 416-463-4327 for a life with better hearing. hearing loss, may find challenging. Visit us for a free hearing test and explore more Super power devices. Hear the show podcasts here. I cannot understand why I didn’t try this sooner. First person who has given me some hope! Being serviced by Edmond has truly been a blessing! "I was most fortunate to locate Edmond to cater to my specific, demanding and complex needs. Edmond provides me with constant exceptional customer service and care, but more importantly Edmond is a master of his trade and his skills are exemplary so much so that I am willing to commute 50 kilometres each way to see him and it is certainly worth it. Edmond has treated me with the utmost professionalism, respect, patience and dignity at every visit and his solutions to my problems have been spot on. My experience and results have been extremely positive. Edmond has been very thorough in helping me adjust in every aspect, he is also passionate and very professional in his work which makes me feel very comfortable and at ease with him but more importantly I trust him. I have been fitted prior by other HIS and have always struggled, but with Edmond, he knew exactly what he was doing from his recommendations of products to fittings and checkups. Being serviced by Edmond has truly been a blessing!" We owe them our gratitude for their support. "Both my wife and I have been going to Hearing Aid Source for a long time. We always feel the service is beyond ‎what they do. They go the extra mile to make sure we are hearing what we feel is needed for us. We would tell our friends to go there for the family care as they listen and support us. Both Kristin and Edmond are those people that make a difference. We owe them our gratitude for their support." Thank you Edmond. You have put enjoyment back into my social life! "I purchased a pair of hearing aids from a well-known source. Unfortunately, I found that background noises were amplified to the point that it was harder than ever to hear a conversation. I was tired of asking people to repeat themselves and I know my family was tired of having to repeat everything. My hearing aids ended up in a drawer. I went to Edmond’s office and he spent more than an hour explaining to me why I was having issues with my current hearing aids. After putting new closed-end tips on them, I noticed an improvement immediately. He didn’t stop there. He made some adjustments to the hearing aids which have made all the difference. We went into the outer office and even out into the busy Toronto streets and I was still able to hear him when he spoke in a normal tone to me. I would recommend Hearing Aid Source to anyone who is having issues with hearing or their hearing aids. Thank you Edmond. You have put enjoyment back into my social life!" Visit us for a free Hearing test Today!